The Washington Composers Orchestra (WACO) is back at TOST starting this Sunday night February 28th at 8 p.m.
Jazz bands from Garfield and Roosevelt high schools in Seattle and Edmonds-Woodway High School will represent the Northwest at the 15th annual Essentially Ellington competition and festival in New York City, May 8-10. Fifteen bands are chosen from around the country every year to compete in the prestigious event. This year’s contest is shaping up as a rematch between Garfield and Roosevelt; both Seattle schools have logged 10 past trips to Essentially Ellington, and three wins apiece. But don’t count out Edmonds-Woodway, returning to the field this year for the third time after competing in 2003 and 2007. The jazz trio Medeski Martin and Wood first performed together in 1991 at the now-defunct Village Gate nightclub in downtown Manhattan, in a style neither they nor others put a name to. They sounded as much like a rock band as a jazz group, creating some new fans, and puzzling some others. In retrospect, the trio (also known as MMW), which performs Saturday night at the Showbox at the Market, was part of a shift in jazz, although few were conscious of it at the time. The genre had settled into a thoughtful, formal conservatism (defined largely by the trumpeter Wynton Marsalis) based on the studied rules and musical discipline set by earlier masters. Musicians such as pianist John Medeski, drummer Billy Martin and bassist Chris Wood — then in their early 20s — had different inclinations. They chose to indulge their curiosities outside of conventional jazz, applying their personalities as much as their training to their music. Hal Galper, Jeff Johnson and John Bishop play Birdland in NYC Tonight! 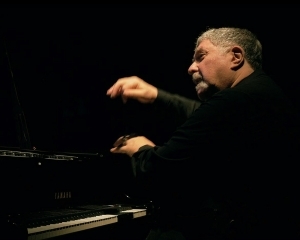 HAL GALPER TRIO (Tuesday) Hal Galper is a pianist well schooled in modernism, with a particular emphasis on bebop. His current trio includes the bassist Jeff Johnson and the drummer John Bishop. 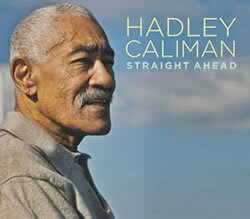 At 8:30 and 11 p.m., Birdland, 315 West 44th Street, Clinton , (212) 581-3080, birdlandjazz.com; cover, $30, with a $10 minimum. The Dawn Clement Trio plays an Art of Jazz Concert at The Seattle Art Museum on the next Jazz Northwest at 1 PM PT on Sunday, February 21 on 88.5, KPLU. 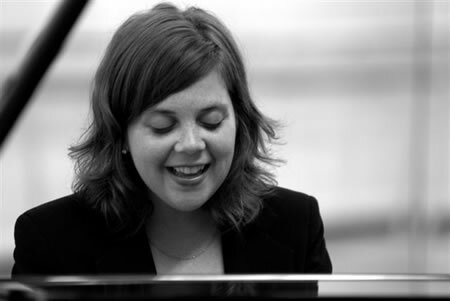 Dawn Clement is pianist, singer and leader of this trio with Geoff Harper on bass and Jaz Sawyer on drums. Ms.Clement also performs with the Julian Priester Quartet and Jane Ira Bloom Quartet in addition to leading her own groups. She has performed frequently in Seattle as well as in New York, Washington and Paris. She has several CDs as a leader, the most recent of which is “Break” on Origin Records and is on the faculty at the Cornish College of the Arts. The Art of Jazz Series is presented by Earshot Jazz with support from KPLU and the Seattle Weekly on the second Thursday of each month in the Brotman Forum at the Seattle Art Museum. The concerts are recorded and prepared for broadcast by Jim Wilke, exclusively for KPLU. The concerts are also available as a podcast at kplu.org following the airdate. from Earshot Jazz: J&J Music, Seattle Jazz Composers Ensemble, and University Prep present Jazz Impressions of Ennio Morricone, a special one-time performance by the Seattle Jazz Composers Ensemble (SJCE). For the program, SCJE commissioned Seattle composers and arrangers to create 4 new original works and new arrangements of Morricone classics, including music from the films The Good, the Bad, and the Ugly, A Fistful of Dollars, Il Mercenario, The Mission, Cinema Paradiso, and Inglourious Basterds. 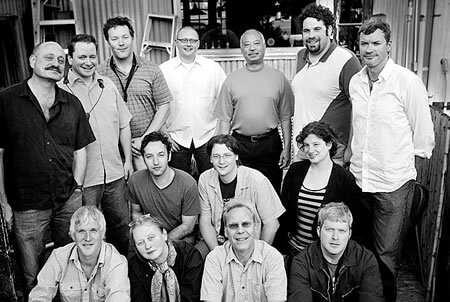 Featured composers include Jim Knodle, Michael Owcharuk, Nate Omdal, Samantha Boshnack, Josh Rawlings, and Ethan Thomas. The music is to be performed by a 17 piece band featuring many of Seattle’s top musicians, including Cynthia Mullis, Beth Fleenor, Jim Knodle, Jason Parker, Samantha Boshnack, Nelson Bell, Michael Owcharuk, Nate Omdal, Cody Rahn, Scott Morning, Aaron Jenkins, Brian Bermudez, Mike Dodge, Elijah Clark, Elsa Nilsson, Ron Gilchrist, and Greg Belisle-Chi. Jazz Impressions of Ennio Morricone takes place Friday, February 19th, 2010 at 7pm at University Prep Founder’s Hall, 8000 25th Avenue NE Seattle, WA 98115. Discounts available for students and seniors. [Phil Kelly is] back at it, stronger than ever with Ballet of the Bouncing Beagles and to bolster that swing allegation, the set opens the boldly with “Play Bud Tonic,” featuring on-fire solos by tenor saxophonist Pete Christlieb, trumpeter Vern Sielert, and trombonist Dan Marcus, followed by a rip-roaring, vivacious ensemble section. The band eases off on the full force forward momentum of the opener with the light-stepping, laid-back “Limehouse Blues.” A tinkly piano intro gives way to a lighter-than-air ensemble horn interlude followed by a series of elastic solos—alto sax, trombone (getting down sweet and low), baritone sax (gritty and low), and trumpet, all over a supremely relaxed rhythm. 7pm – The Ashkenazy Collective – NYC-based jazz trio! Two great shows to choose from on Thursday night. from Earshot Jazz: Speak will release their much anticipated debut album at a special Chapel Performance Space release party on February 18 at 8pm. The great Seattle quintet consists trumpeter Cuong Vu, saxophonist Andrew Swanson, keyboardist Aaron Otheim, drummer Chris Icasiano, and bassist Luke Bergman. Adventurous, witty, energetic, and LOUD, Speak is a true ensemble that is set to command our attention in 2010 and beyond. Featuring complex, winding compositions and some of the finest young improvisers on the scene, Speak incorporates a variety of influences while crafting an unmistakably original sound. And as ever, the Chapel Performance Space at the Good Shepherd Center in Wallingford is among the most graceful and open venues for music such as this. Don’t miss it. 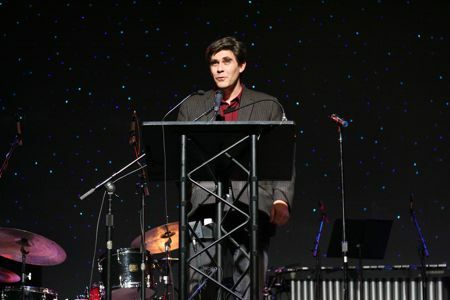 The 2009 Earshot Golden Ear Awards were presented last night at the Triple Door. Jeff Johnson accepts the award for Mark Taylor, who is on vacation in Mexico. Mark Taylor’s Spectre was named NW Recording of the Year. 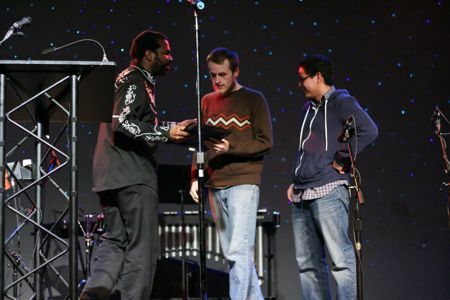 The Teaching (Evan Flory-Barnes, Josh Rawlings and Jeremy Jones) won the award for NW Acoustic Jazz Group. 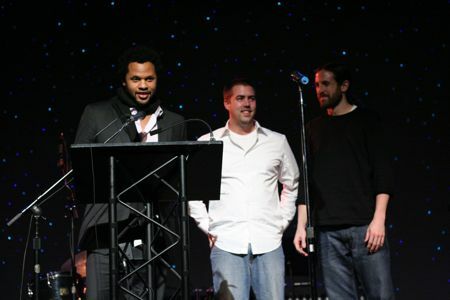 Paul Rucker presented the award to Neil Welch and Chris Icassiano for NW Alternative Jazz Group. 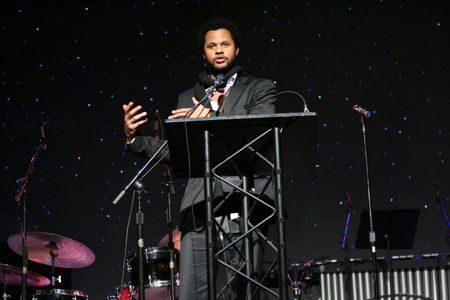 Evan Flory-Barnes‘ “Acknowledgment of a Celebration” got the nod for NW Concert of the Year. Eric Barber was named NW Jazz Instrumentalist. 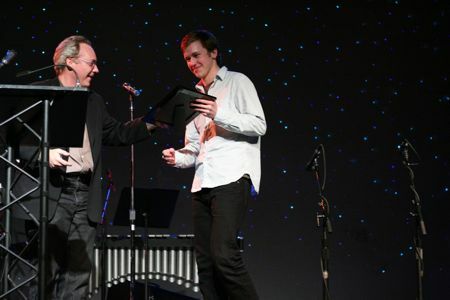 Tom Varner presents the award for NW Emerging Artist to Roosevelt trombonist Andy Clausen. 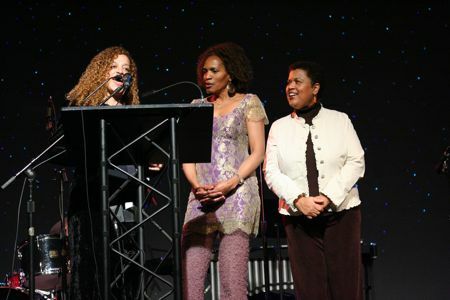 NW Vocalist of the Year went to Cocoa Martini (Karen Shivers, Kimberly Reason and Kay Bailey). 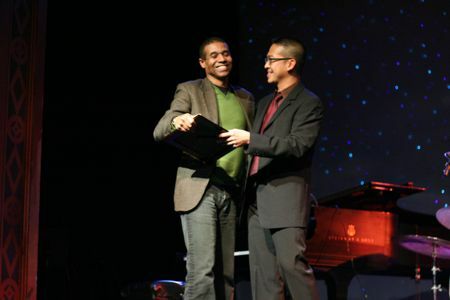 Cuong Vu inducts Marc Seales into the Seattle Jazz Hall of Fame. 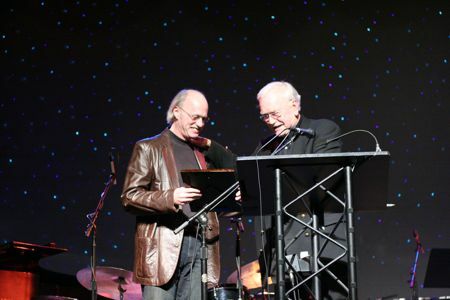 Stuart Dempster was also inducted into the Seattle Jazz Hall of Fame. He was unable to attend. 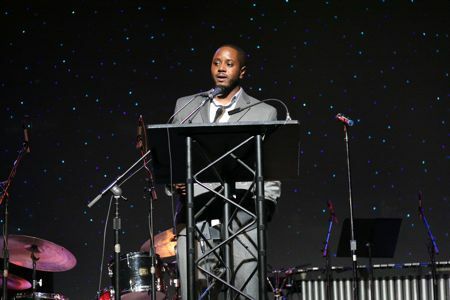 David Pierre-Louis, owner of Lucid Jazz Lounge, was given a special award for community service. 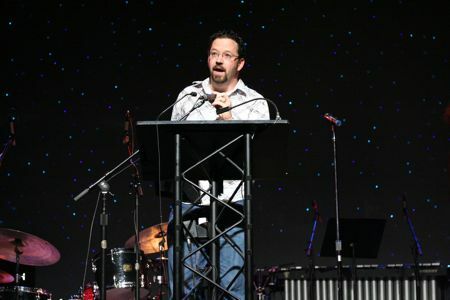 Steve Peters, co-founder of the Nonsequitur Foundation, which runs the Chapel Performance Space, also received a community service award.